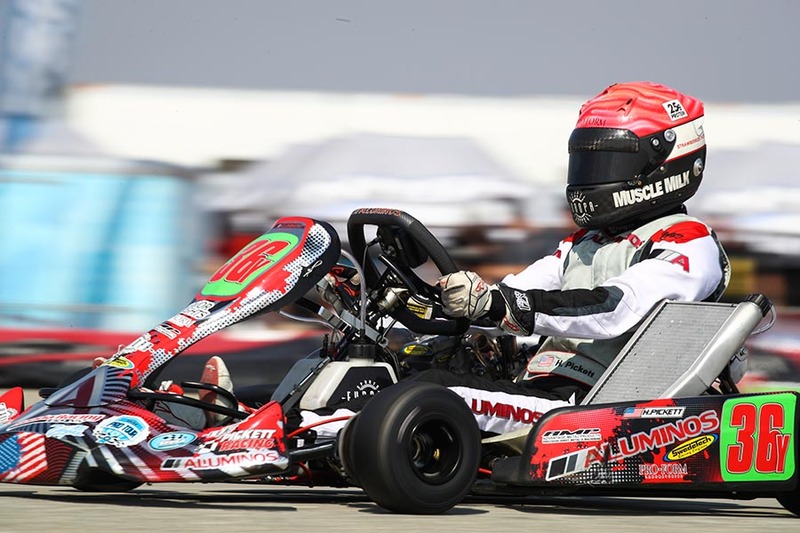 The California ProKart Challenge resumed its 2017 championship program on June 2-3 at the CalSpeed Karting Center with the Aluminos operation continuing its success. 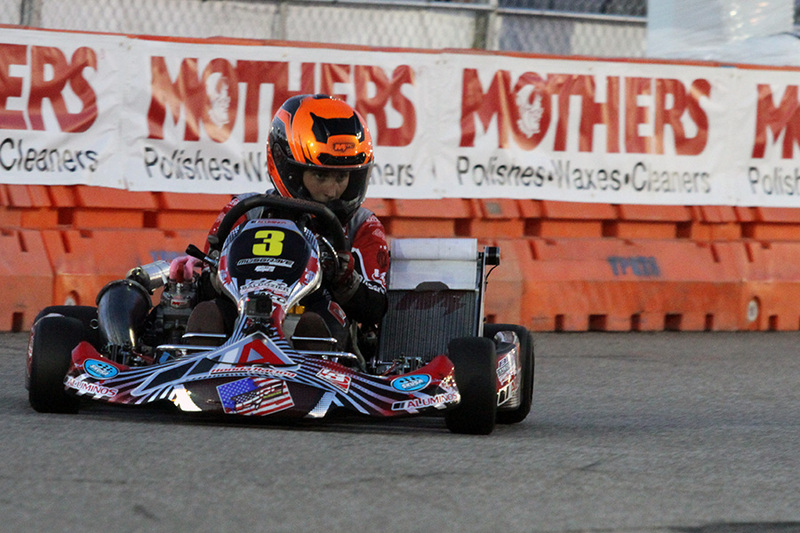 The Fontana, California facility is one location the Aluminos chassis has seen a number of laps on, and it translated into five top-five performances for brand in the S1, S2, and S4 Super Master categories. They were led by MRC driver Billy Musgrave has he earned his third straight California PKC victory in 2017. Musgrave has been the cream of the crop throughout the 2017 season in the S1 Pro Stock Honda category, thanks in part to his work with the Aluminos operation. 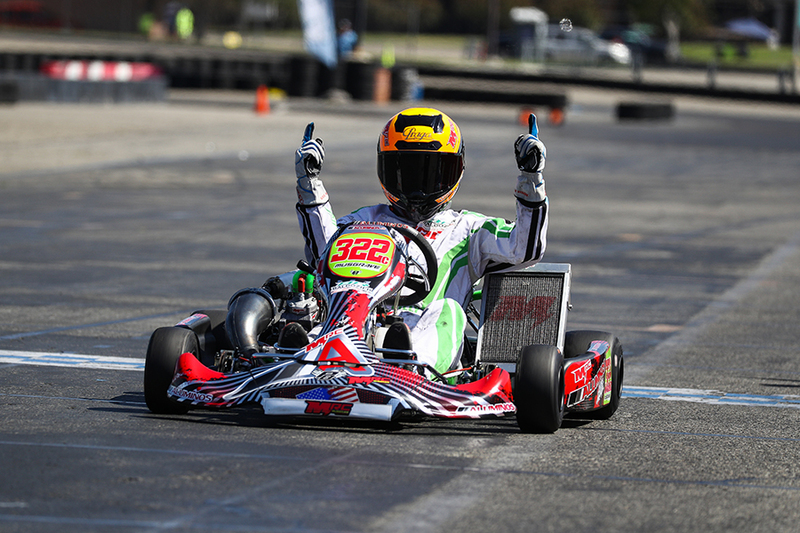 Two wins on the SKUSA Pro Tour in four rounds of racing have put him in the championship hunt on the national scene. At the regional level, Musgrave is the driver to beat. Fellow Aluminos driver Hunter Pickett nipped Musgrave by 95 thousandths of a second. Pickett’s lap of 46.464 seconds became a new track record at the CalSpeed ‘Grande’ circuit, another triumph for the Aluminos chassis. 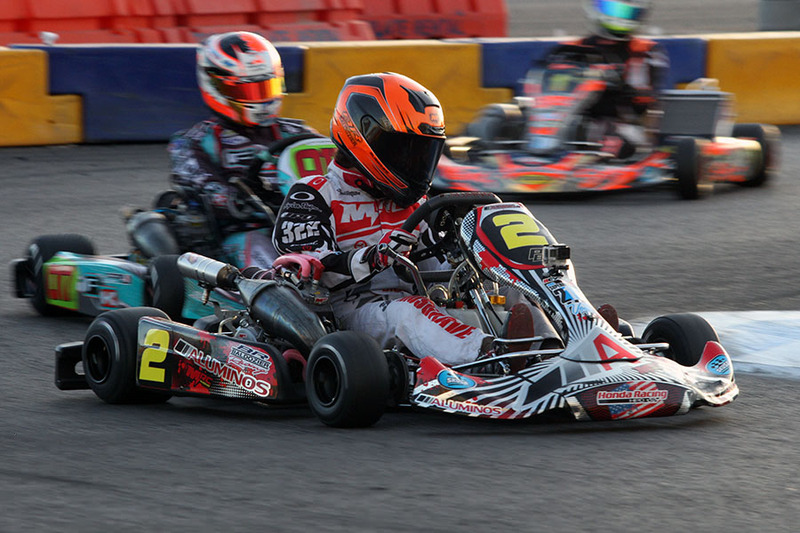 Musgrave got the better of Pickett in the opening heat, taking the win as the duo went 1-2 in the second heat race. That pattern followed into the main event, with Musgrave taking his third victory of 2017 and Pickett placing runner-up, giving Aluminos the top-two positions on the podium.